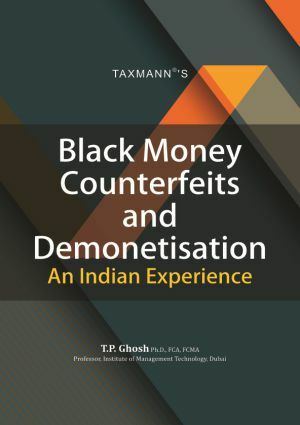 This book is about the ubiquitous influence of corruption and tax evasion on accumulation of black money in India and menace of counterfeits in terrorist funding which accentuated Demonetisation 2016 in India. Scrolling through historical perspectives of demonetisation, it explores deficient administrative and legal framework in which black money grew and flourished including unsatisfactory outcome. It also reviewed efficient remonetisation process including participation of public at large in the war against black money ignoring difficulties of cash shortage, post-demonetisation public support and economic consequence of demonetisation.